Two weeks ago I found myself sitting in front of the founder of Bloom & Wild, stumbling from one stunning stationery stand to another and falling off my January diet, albeit for a flapjack and shake shack. Totes OK. It certainly wasn’t my average Monday in the office, and it was such an eye opening, inspirational day that I know will be that pivotal moment that I look back on in a few months time. I was lucky enough to head down to Top Drawer with my work to visit one of my partners who was exhibiting. I also got a chance to head along to 3 seminars where I religiously took notes and drunk up every ounce of knowledge that I possibly could. Well let me tell you, I was drunk of motivation and direction after every one of them. I took as much from the day as I could. I’m always striving to do more, be more and chase those dreams. Here’s some little snippets that I picked up from day for you fellow go getters. Solid business advice. It’s the one piece of advice that sticks out in the 5 years Bloom and Wild have been operating. In the initial prototype stages of the box design they were having to spend £30 per box to get it right. If they were to print 1,000 in one go though it would only be £2.70 per box, you do the math. They took a chance to cut corners, but it didn’t pay off. The boxes provided no ventilation for the flowers so it just didn’t, and wouldn’t work. With just under 1,000 boxes surplus to requirement, they learnt a lesson the hard way. Keep testing and don’t commit until it is 100% right. Like I’ll probably say 167489 times in this post, starting up my own business one day is 100% on my agenda, so this is something that I won’t forget. So we all know this already, but when it comes down to the likes of Bloom & Wild, their imagery really is everything. Instagram especially is a place to consume beautiful images and it was so interesting to hear that a brand as big as them is completely organic on Instagram. They truly have built it from the ground by sharing beautiful images. I think of late I really have been a bit slack with the quality of my Instagram images, and if I’m not completely happy with them than why should people like them and follow me? A lot of blame can be placed on the algorithm all too easily I think, so going forwards I’m going to make a conscious effort to improve my photography and seriously up my Insta game. I of course couldn’t turn down the talk; 5 steps to making more money without working harder, um, HELLO, that is definitely a bit of me. The life coach who took the seminar spoke about how 7 years ago she had literally lost everything, her parents, stable career and her husband. Understandably, you can’t see past it, you can’t see a way forward, just like anything bad that happens. But in my experience alone I know that everything gets better, it’s only temporary. You have 2 choices to either wallow, become depressed and lose sight of your dreams or rebuild your life and chase those dreams and pick them back up where you left them. If you put your mind to it anything is possible, and this talk really rung true with me, Sometimes you just need that pep talk to help you on your way. There is ALWAYS a silver lining and a way forward. A lot of the talk was about clearing your fear of success and your mental money blocks. It’s like there’s no such thing as Can’t – anything is possible, it’s all down to your mindset and how you view things. She was clear that if you want more orders, more clients, but are scared of overworking, failure or your health, that if you believe those things to be true this is what will happen, you won’t get those clients you actually so desperately need and you won’t be able to move forward. Once you see that value, connect it to your worth and tell yourself that you do deserve more clients and success, apparently, it should follow. Along with clearing your fears, forgiving yourself is everything, another mental block you need to ditch. Resentment blocks energy and the ability to bounce back and keep you in the game. Forgive yourself, move on and clear those precious money blocks that will help you claim your worth, and wealth. The third and final talk I went to of the day was about PR and storytelling and pretty much how it works and the importance of it. As a PR girl working in London (not me), the reality of it actually is wining and dining journalists, well most of the time. I was this close to handing my notice in there and then. I’d definitely like a bit of that. But on a serious note, whether it’s for your business or a blog, I think it’s all relevant. Think of who your audience are and who it appeals to, be authentic and start from the beginning, have a plot and be visual with it. Then create a sequel and tell people. Magazines, trade, bloggers, social media and exhibitors. Listening to the talk basically made me think, but duh, don’t we as bloggers already hold these multi faceted skills? And as she started to refer to bloggers as ‘blaggers’ who just ask for free gifts, that confirmed everything. Find someone already that can do it all. I think bloggers hold a whole wealth of value, whether it can be valued by the PR world or not. 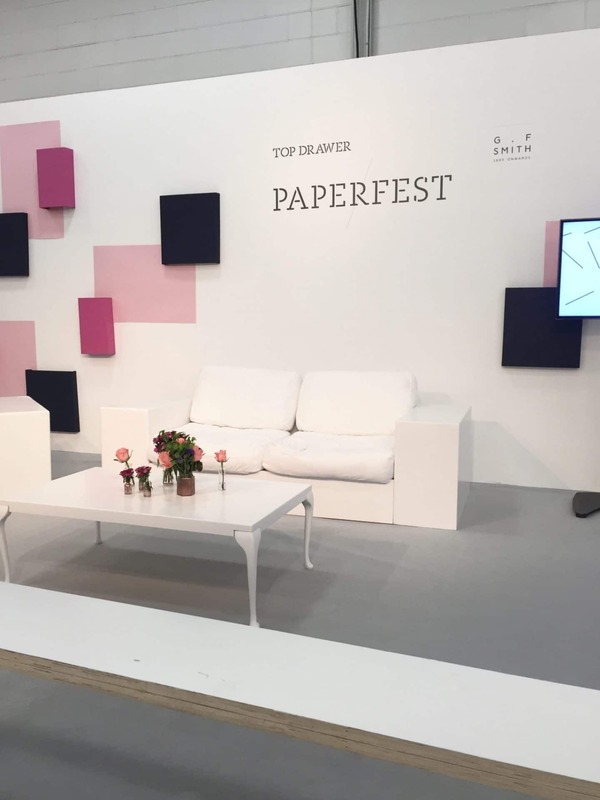 Top Drawer London is the creme de la creme if you like, it’s the best of the best. 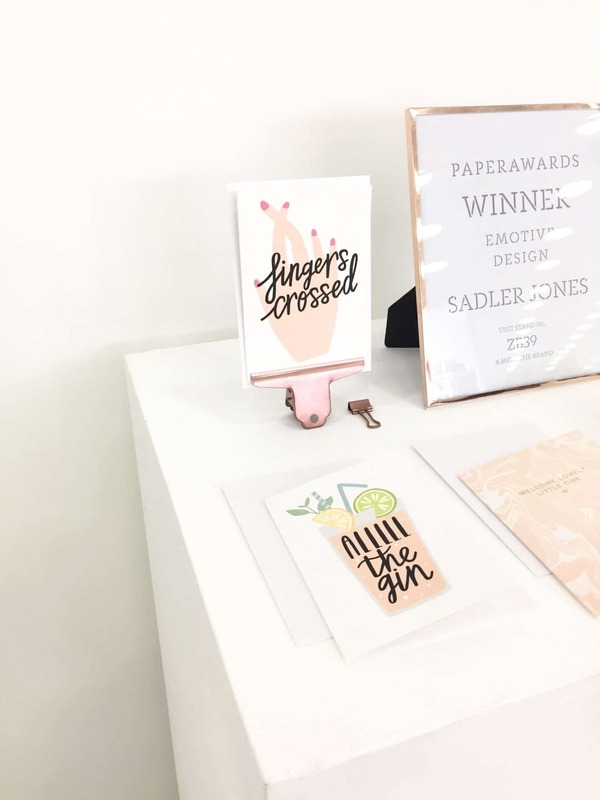 Whether you’re exhibiting or not, it is the place to be to see the trends of the following season and gain some inspiration for your own endeavours. As I work in the ecommerce world anyway I’m constantly researching digital trends and changes, but on a wider scale. It’s more than whether the Insta algorithm is changing for the 10th time that year or whether we’re going to be seeing less memes on Facebook than ever before. What are consumers going to be seeing in 6 months time, what are the colours of the season, is it still going to be very much flamingos and cacti for a 6th year or nah? Trends are then your base foundations to create your own twist and something else that really no one else is doing. Because with such a saturated market of talented people these days, you need to be doing something differently. Like every other person and their dog, one day I would love nothing more than to have my own business, and hearing from the horses mouth what it’s like to come up with an idea that is different, cutting edge and a need in our millennial lives is everything. There is no point in having an amazing business idea if 10 other people are doing the exact same thing. With the ecommerce industry growing by the day, it’s evident that’s where we need to be, but it needs to be well thought through and offer a service or a product that isn’t already out there, and that’s the hardest part, right? I’m a firm believe that opportunities and ideas present themselves when we least expect it. So I’ll be here waiting for that lightbulb idea any day…HOLLA at me. Thanks for the experience and more Top Drawer.